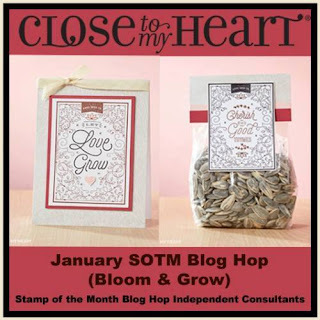 Welcome to the January Stamp of the Month Blog Hop!! 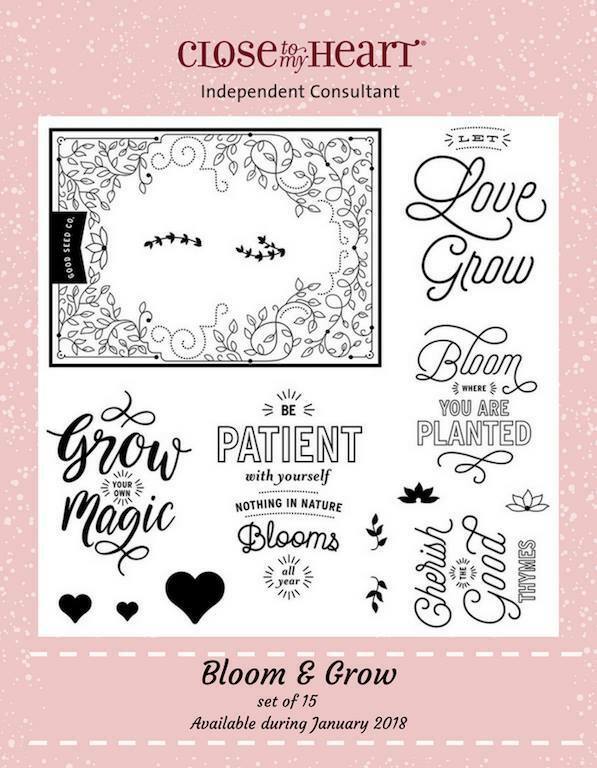 This month's stamp is Bloom & Grow. It has 15 images. If you came from Jennifer Dykstra's Blog you are on the right track! The hop is one big circle so when you get back to me you will know you have completed the hop! 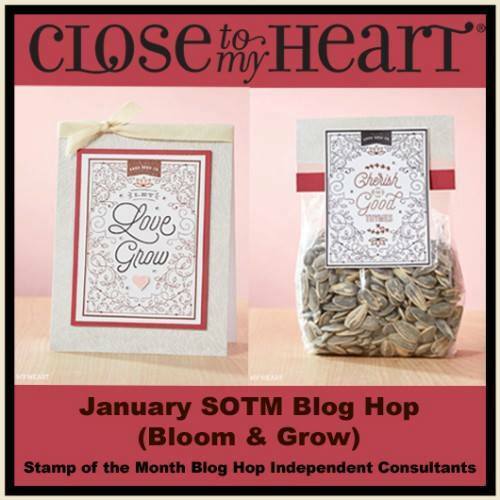 You can get the January Stamp of the Month ONLY during the month of January! 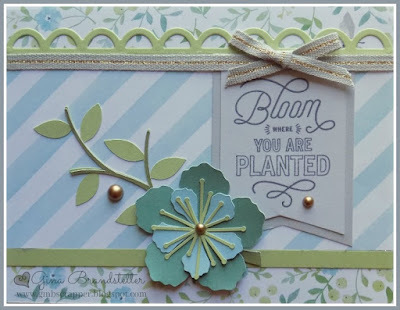 Now it is time to hop over to Alyson Mayo's Blog and see what she has created for us! Oh this is a lovely card! I love all the details! Love the different elements you incorporated using the Cricut Cuts! It's great! This is just stunning, love the cricut flower. Very pretty card! I like the detailed flower and scalloped border. Beautiful! I love all the different layers.